In the Edmunds review of the Toyota Tacoma, this midsize Toyota truck is praised for its “variety of body styles, strong off-road abilities, solid build quality and a better-than-average reputation for reliability and durability.” Recent versions of the Tacoma are offered with dynamic performance features like a towing capacity of up to 6,800 pounds and a 278-hp 3.5L V6 engine–not to mention modern features like Toyota Safety Sense™ and the Entune™ 3.0 infotainment system. Experience everything the new Tacoma has to offer today near Folsom at Kareem Auto Sales Inc in Sacramento! *Cruise Control* *Running Boards* *Sliding Rear Window* *CD/Cassette/MP3* *Bed Liner* *Tow Pkg* *Power Windows* *Fog Lights*Free 30 Days /3,000 Limited Warranty !, Tacoma PreRunner, 4D Double Cab, 2.7L I4 MPI DOHC, 4-Speed Automatic with Overdrive, RWD. Clean CARFAXThanks for looking , If you need more information such as additional Photo's or a copy of your Free Car Fax History Report we are here to help . You can email us www.Kareemautosales.com or come visit us at our easy to get to location in Sacramento CA.? OPEN SEARCH RESULT PREVIEW-All Vehicles come with FREE warranty (call dealer for details)-We offer great extended warranty on our vehicles-Free CarFax Report History-Check us out on Yelp! 4.5 Stars-275+ Vehicles to choose from-Financing for all types of credit-CUDL (Credit Union Direct Lending)-Great 1st time buyer program-All vehicles pass Smog & Safety Inspection and receive a fresh oil change-Our buyers have over 10+ years of buying experience-Business HoursMonday - Saturday: 10:00am 7:00pmSunday: 10:00am - 5:00pm-And As Always Promised... BEST DEALS IN TOWN! Free 30 Days /3,000 Limited Warranty !, Tacoma PreRunner V6, 4D Access Cab, 4.0L V6 SMPI DOHC, 6-Speed Manual with Overdrive, RWD, Silver Streak Mica, Graphite Cloth. PreRunner V6 RWD 6-Speed Manual with Overdrive 4.0L V6 SMPI DOHCAwards:* 2009 KBB.com Best Resale Value Awards * 2009 KBB.com Brand Image AwardsThanks for looking , If you need more information such as additional Photo's or a copy of your Free Car Fax History Report we are here to help . You can email us www.Kareemautosales.com or come visit us at our easy to get to location in Sacramento CA. *6-Speed Manual* *TRD Off-Road Pkg* *Back-up Camera* *Kenwood Entertainment System* *Bluetooth Wireless* *Cruise Control* *SiriusXM Satellite* *Sliding-Rear Window* *Alloy Wheels* *Mud Flaps* *Power Windows* *Bed Liner* *Tow Package* *Fog Lights*-All Vehicles come with FREE warranty (call dealer for details)-We offer great extended warranty on our vehicles-Free CarFax Report History-Check us out on Yelp! 4.5 Stars-275+ Vehicles to choose from-Financing for all types of credit-CUDL (Credit Union Direct Lending)-Great 1st time buyer program-All vehicles pass Smog & Safety Inspection and receive a fresh oil change-Our buyers have over 10+ years of buying experience-Business HoursMonday - Saturday: 10:00am 7:00pmSunday: 10:00am - 5:00pm-And As Always Promised... BEST DEALS IN TOWN! Free 30 Days /3,000 Limited Warranty !, **Rear View Camera**, LIFTED, 4D Double Cab, 4.0L V6 SMPI DOHC, 5-Speed Automatic with Overdrive, 4WD, Silver Streak Mica, Graphite Cloth. V6 4WD 5-Speed Automatic with Overdrive 4.0L V6 SMPI DOHCAwards:* 2009 KBB.com Best Resale Value Awards * 2009 KBB.com Brand Image AwardsThanks for looking , If you need more information such as additional Photo's or a copy of your Free Car Fax History Report we are here to help . You can email us www.Kareemautosales.com or come visit us at our easy to get to location in Sacramento CA. *Lifted* *Back-up Camera* *Premium Wheels* *Running Boards* *Cruise Control* *Sliding Rear Window* *Bed Liner* *Tow Package* *Power Windows* *CD/MP3*-All Vehicles come with FREE warranty (call dealer for details)-We offer great extended warranty on our vehicles-Free CarFax Report History-Check us out on Yelp! 4.5 Stars-275+ Vehicles to choose from-Financing for all types of credit-CUDL (Credit Union Direct Lending)-Great 1st time buyer program-All vehicles pass Smog & Safety Inspection and receive a fresh oil change-Our buyers have over 10+ years of buying experience-Business HoursMonday - Saturday: 10:00am 7:00pmSunday: 10:00am - 5:00pm-And As Always Promised... BEST DEALS IN TOWN! Free 30 Days /3,000 Limited Warranty !, One Owner Carfax, 4D Access Cab, 2.7L I4 DOHC 16V, 4-Speed Automatic, RWD, Super White. RWD 4-Speed Automatic 2.7L I4 DOHC 16VAwards:* 2014 KBB.com Best Resale Value Awards * ALG Residual Value AwardsThanks for looking , If you need more information such as additional Photo's or a copy of your Free Car Fax History Report we are here to help . You can email us www.Kareemautosales.com or come visit us at our easy to get to location in Sacramento CA.-All Vehicles come with FREE warranty (call dealer for details)-We offer great extended warranty on our vehicles-Free CarFax Report History-Check us out on Yelp! 4.5 Stars-275+ Vehicles to choose from-Financing for all types of credit-CUDL (Credit Union Direct Lending)-Great 1st time buyer program-All vehicles pass Smog & Safety Inspection and receive a fresh oil change-Our buyers have over 10+ years of buying experience-Business HoursMonday - Saturday: 10:00am 7:00pmSunday: 10:00am - 5:00pm-And As Always Promised... BEST DEALS IN TOWN! Free 30 Days /3,000 Limited Warranty !, Tacoma PreRunner V6, 4D Double Cab, 4.0L V6 SMPI DOHC, 5-Speed Automatic with Overdrive, RWD, Super White, Taupe Cloth, Sport Package. PreRunner V6 RWD 5-Speed Automatic with Overdrive 4.0L V6 SMPI DOHCAwards:* 2008 KBB.com Brand Image AwardsThanks for looking , If you need more information such as additional Photo's or a copy of your Free Car Fax History Report we are here to help . You can email us www.Kareemautosales.com or come visit us at our easy to get to location in Sacramento CA. *Low Miles* *JBL Premium Sound* *Multi-Disc/MP3* *Cruise Control* *Fog Lights* *Bed Liner* *Alloy Wheels* *Tow Package* *Power Windows*-All Vehicles come with FREE warranty (call dealer for details)-We offer great extended warranty on our vehicles-Free CarFax Report History-Check us out on Yelp! 4.5 Stars-275+ Vehicles to choose from-Financing for all types of credit-CUDL (Credit Union Direct Lending)-Great 1st time buyer program-All vehicles pass Smog & Safety Inspection and receive a fresh oil change-Our buyers have over 10+ years of buying experience-Business HoursMonday - Saturday: 10:00am 7:00pmSunday: 10:00am - 5:00pm-And As Always Promised... BEST DEALS IN TOWN! *4WD* *1 Owner* *Back-up Camera* *Premium Wheels* *Off-Road Tires* *Running Boards* *Camp Shell* *Grille Guard* *Fog Lights* *Cruise Control* *CD/MP3* *Power Windows*-We offer great extended warranty on our vehicles-Free CarFax Report History-Check us out on Yelp! 4.5 Stars-275+ Vehicles to choose from-Financing for all types of credit-CUDL (Credit Union Direct Lending)-Great 1st time buyer program-We offer great extended warranty on our vehicles-Free CarFax Report History-Check us out on Yelp! 4.5 Stars-275+ Vehicles to choose from-Financing for all types of credit-CUDL (Credit Union Direct Lending)-Great 1st time buyer program-All vehicles pass Smog & Safety Inspection and receive a fresh oil change-Our buyers have over 10+ years of buying experience-Business HoursMonday - Saturday: 10:00am 7:00pmSunday: 10:00am - 5:00pm-And As Always Promised... BEST DEALS IN TOWN! Are you interested in trading in a car or financing a used Toyota Tacoma 4×4? 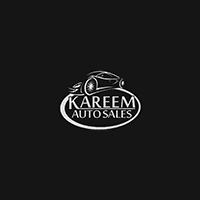 Then come and check it out for yourself at Kareem Auto Sales Inc. Every Tacoma trim is offered with the increased traction and off-road prowess of 4WD, while the Tacoma TRD Off-Road increases its all-terrain prowess with features like a locking rear differential, skid plates, and crawl control (CRAWL). Get behind the wheel of a used Toyota Tacoma 4×4 today at our dealership near Elk Grove, or reach out to us directly at (916) 473-1656.